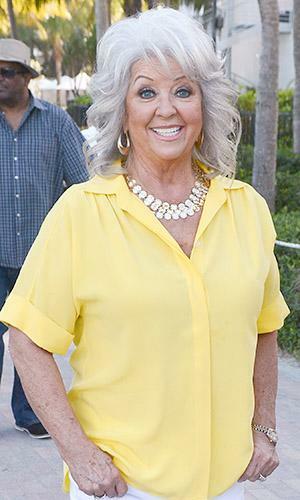 The situation did not improve for Paula Deen on Friday morning when she bailed on a "Today" show interview with Matt Lauer following the recent release of her deposition statements for a discrimination lawsuit by a former employee, in which Deen admits to having used the N-word and tolerating racist jokes. The NBC News morning show was none to happy with Deen, and called out her "no-show" in the cold open of its broadcast. A clearly irritated Lauer said that he spoke with Deen about having a "candid, open and no-holds-barred discussion," but then added that, just minutes before it went to air, the show was contacted by Deen's publicist who relayed that the celebrity chef was exhausted and wouldn't be showing up. Added Al Roker, "She’s been on the show so many times, she’s a friend of the show - we consider her a friend … We would hope she would reconsider, because she really needs to address this.” "
Video statement to follow shortly http://t.co/Te2yWwhPzG . Deen didn't do herself any favors however, when she deleted a tweet about a watermelon cooler recipe, following social media criticism that the tweet may have been distasteful in the midst of this ongoing controversy. Two days ago, Deen tweeted, "Take advantage of all of that fresh watermelon comin’ our way with this refreshing cooler at your next get-together! ", but on Friday that tweet was taken down.